Do you think it matters to say, Emma, Joseph’s wife, if the object wrapped in the linen cloth that sat on the table as she transcribed Joseph’s dictation, was really a set of metal plates containing a record of ancient prophets, whose words Joseph was dictating in translated form? Emma suffered estrangement from her parents and family over Joseph’s refusal to show this object to any of them. She saw her house torn apart by a crazed Lucy Harris, wife of Martin, who was determined to find and see that object. And she generally endured all kinds of hardships due to the events that unfolded from the translation of that record. Yet through it all, she dutifully chose not to look under the linen cloth. Tell me, do you think it matters to her, if her husband’s claims about angels and plates and ancient peoples are true? I think the historicity of the Book of Mormon matters to Emma. It is also important to note that the text itself is very concerned with whether we believe it is true. For instance, Alma was formally commanded by the angel to always remember the captivity of his fathers. This was a major theme that he dwelt upon during his instruction to his sons. It wasn't just the captivity that was important, but especially the reality of their divine deliverance. And as you alluded to, Nephi, Mormon, Moroni, and Jesus Christ himself were all very insistent that our belief in their words would be crucial to our Salvation. I think that to have faith in Christ is much more than believing that he exists. It is believing and recognizing the reality of his works and his words. When we deny the historicity of the Book of Mormon, we are denying the works and words of Jesus Christ. We are denying the miracles that he wrought among generations of his children, and we are denying that he really communicated with their prophets and apostles and inspired their teachings. One simply cannot have adequate faith in Jesus Christ while rejecting the historicity of the Book of Mormon. Furthermore, the D&C actually commands us to remember the Book of Mormon and warns that those who are unbelieving and treat the book lightly will be under condemnation. I am deeply saddened by those who find it mostly irrelevant. I have a feeling they will find it much more relevant when they meet Moroni and Nephi and others face to face at the judgment bar of God. May they repent and believe before that day is upon them. Somewhere along the line I learned that the Bible can be called a "family" or "tribal" history (I don't remember the exact term at the moment), in that it primarily concerned with the history of Abraham's descendants, and only touches on the history of surrounding groups when they came into contact with the Hebrews. This would be an apt description of the Book of Mormon. 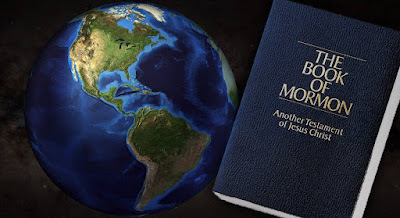 It could be said that the historicity of the Book of Mormon is secondary to its overarching message, which parallels and clarifies the teachings of the Bible, but we cannot blithely pass off its historicity. That aspect of the Book of Mormon makes up the mortar that holds the account together. History matters. The interpretation of that history is what often leads to contention. Historically the Book of Mormon can not be fully proved (as are most books whose existence deals with the development of faith). There is too much, however, that is gleaned from the Book of Mormon to be some mere exercise in fantasy to casually dismiss it as merely a philosophical text or exercise. Those who detract from its history will continue to do so, but as more seems to come to light, the echoes of the detractors seem to will become background noise to the many truths, historical and religious that the book holds. I love this article. However I think that historicity has to remain secondary to the message. We would not discourage someone who doubts the historicity from applying the teachings to their life or suggest that a lack of belief in cureloms would nullify the benefits of being in "service of their fellow beings." I think that for many who do not have sufficent faith to believe the historical claims or those who cannot quite abide the scorn from the intellectuals in the large building, viewing scripture as allegory may provide the nourishing milk they need until they have grown roots deep enough to make the full leap into complete belief. I would reference Alma's discussion of faith as a seed or the Lord's statements of teaching line upon line. If someone can read the scriptures in any context and gain benefit I think it is a good thing and I welcome them adding their voice to the discussion even if I hold different conclusions. My own views of historicity have deepened and changed over the years from Freiberg painting inspired views to a more complex view of possible cultures and political realities that might harmonize what what we know about the ancient settings of scripture (note this has happened for all volumes of scripture for me, Bible, Book of Mormon, and even D&C and PGP). So if I can grow and change in my view of historicity I must allow others to do the same and not criticize if they do not accept simple historical views that I also have outgrown.